As promised, I went back to the kit I got from Uncommon Goods, read the instructions more carefully (I put down my cocktail first), then re-tried the failed yogurt ravioles and made three new recipes. The first thing I tried was a re-do of the yogurt thingies I tried last time. Guess what? Everything works better with the right equipment! 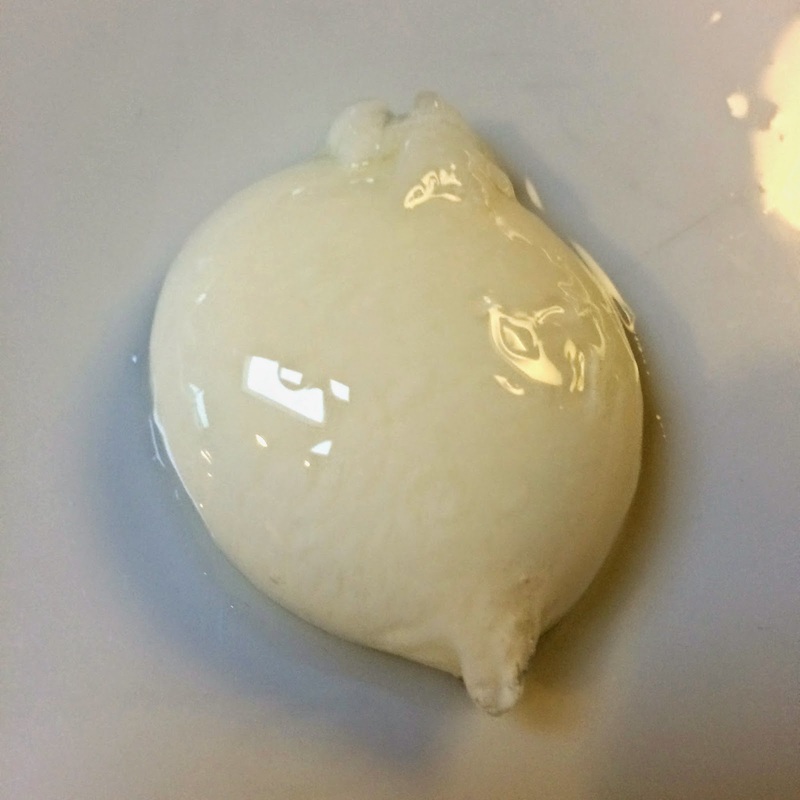 The recipe is in the previous post, so I won’t bore you with the details, but this time I used full-fat yogurt and milk and I think it gave them more strength. 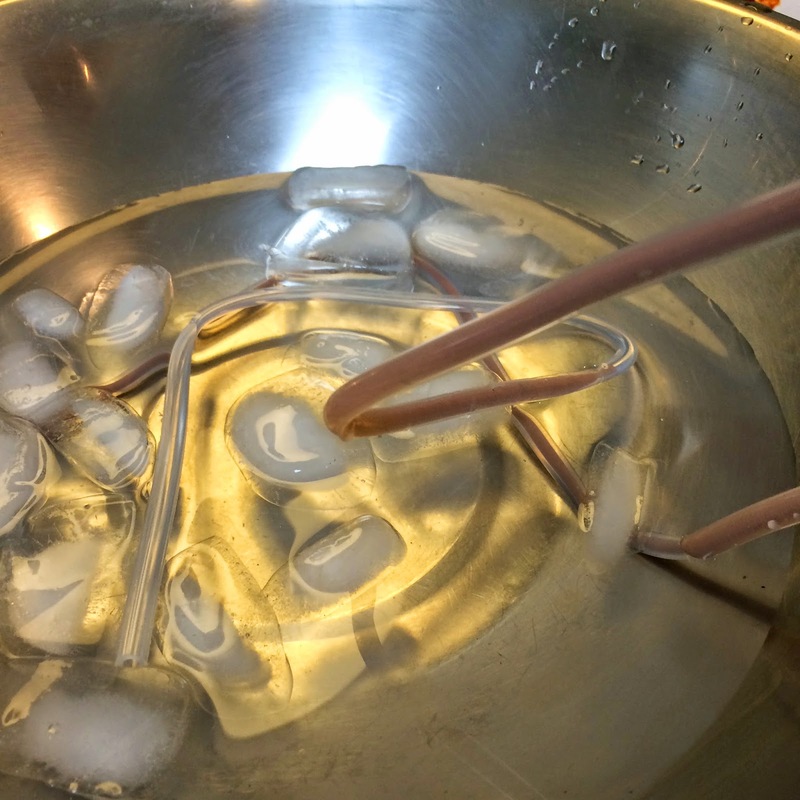 I also used the round spoon provided (which looks like a tablespoon) and dropped them very close to the liquid so they held together in a round ball as opposed to a series of gross, squid-like forms. I still can't think of a good application for this item, it's just weird for the sake of being weird. 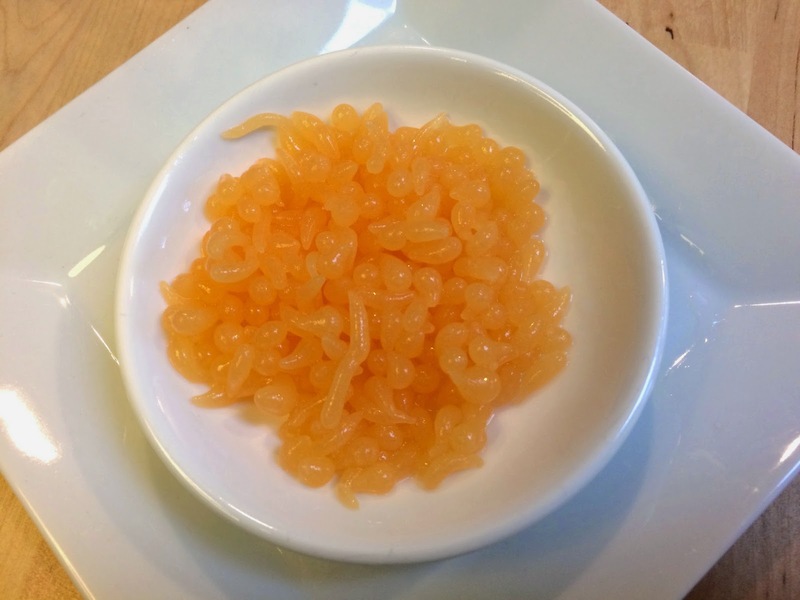 They suggest you can create a sort of faux sushi roll using Prosicutto as the wrapper, a bread crouton in the center topped with Cantaloupe balls which look sort of like fish eggs. Why is this a good idea? Anyway I could not resist so I tried the cantaloupe part. 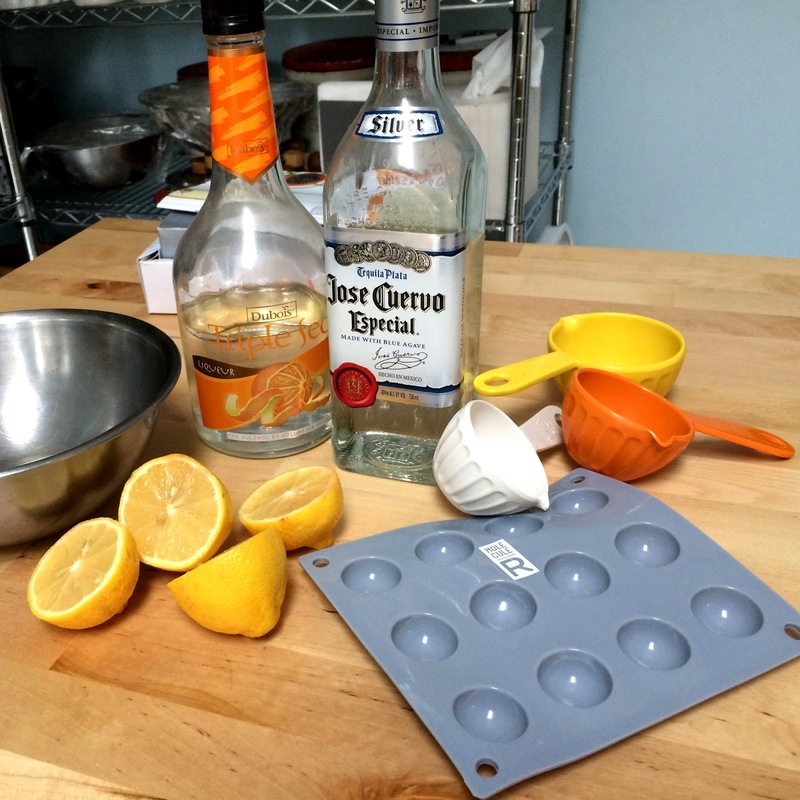 Take the one cup purée and mix with the sugar and Sodium Alginate. Use your burr mixer to combine and then let sit 1 hour. Dissolve the Calcium Lactate in the water stirring with a spoon. Fill the provided pipette with the cantaloupe mixture and drip droplets into the Calcium Lactate mixture. Let them sit in there for 3 minutes and then drain using the small spoon with holes in it (provided). Rinse the balls in warm water before serving. 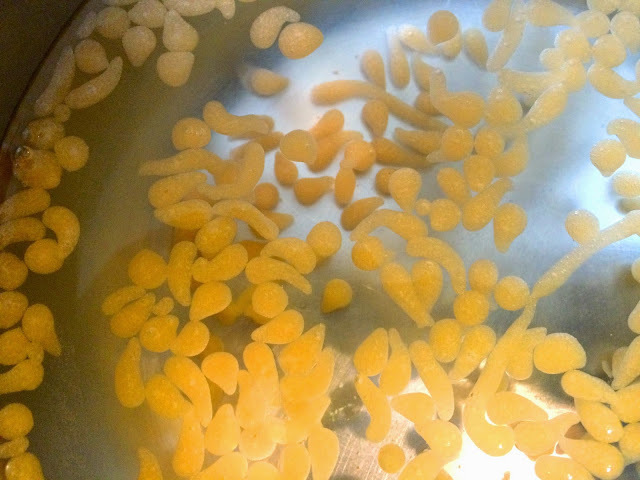 So here is the problem, no matter how hard I tried they looked more like little sperm them balls, and they were gross, enough said. Oh yeah, they also did not taste good. 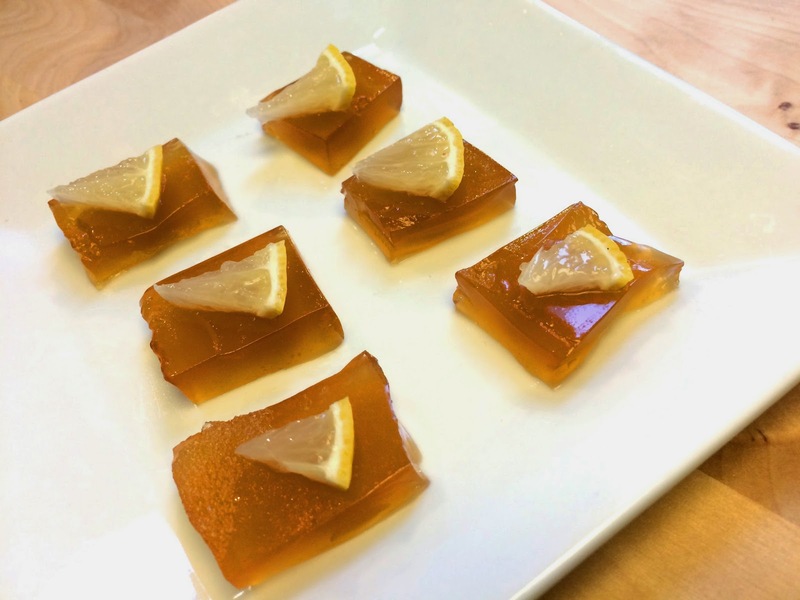 I tried this recipe because it sounded like a high-end Jello shot but cooler. 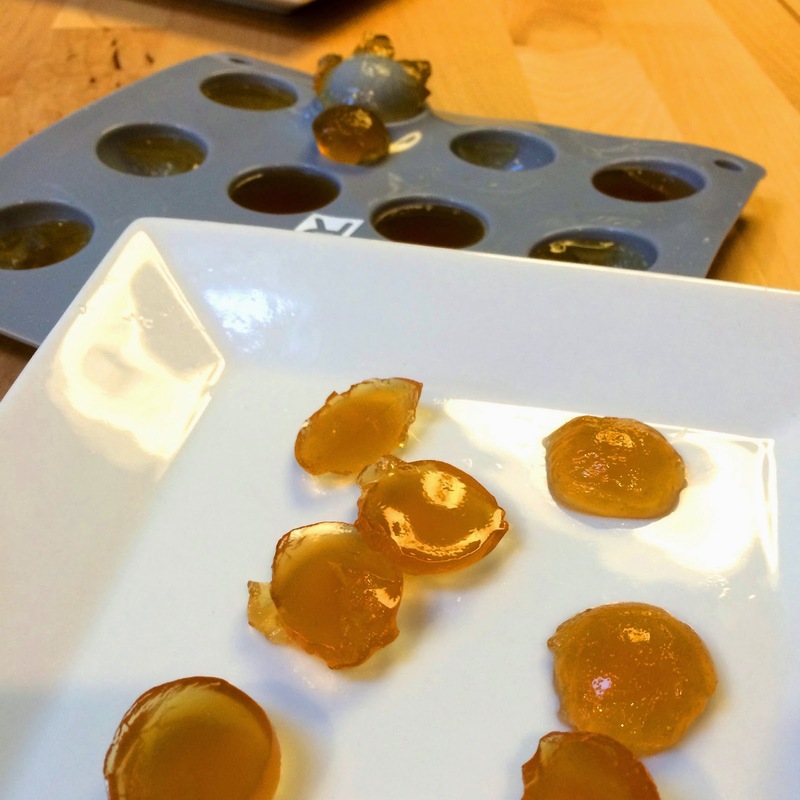 I used the half-sphere silicon mold provided but had very poor results. Perhaps they forgot to tell me to lightly oil the mold? They did not come out well (see photo). Fortunately I had lots of extra mixture, so I poured it into a dish and was able to cut it into squares and serve it that way. Not bad and they had quite a kick! After tasting the basic recipe mixture I found it was way too strong for me, so I added the Pomegranate molasses and the Agave. Yummy! In a bowl, combine all ingredients and mix with your Burr mixer till smooth. 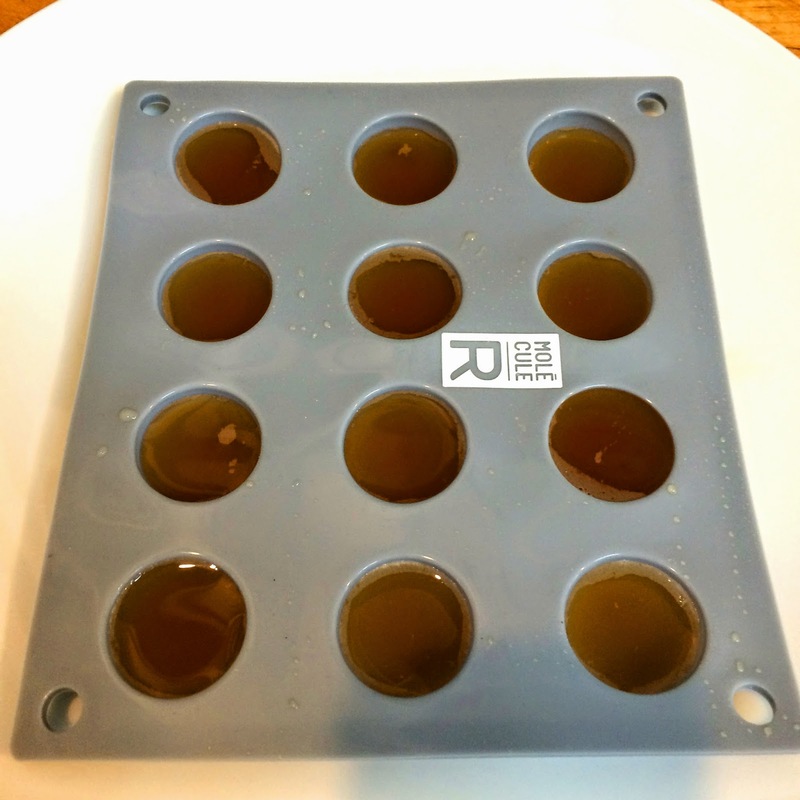 Pour the stuff into the lightly oiled mold or flat-bottomed dish. Put in fridge and let set for 3 hours. Unmold and serve. Or why not just make yourself a damn cocktail! My final experiment was the funnest one. 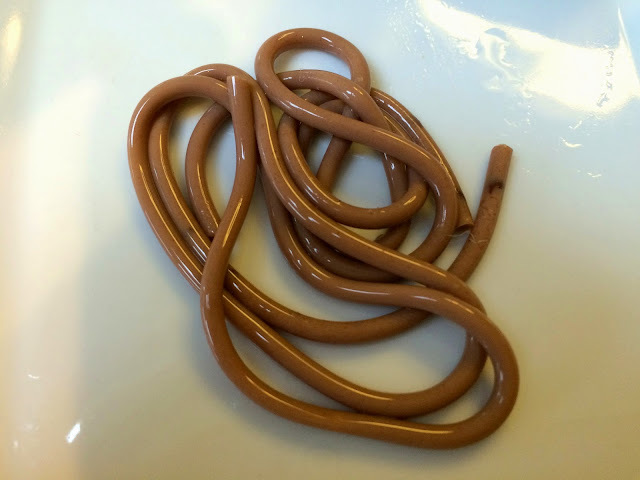 I made chocolate spaghetti! I used all the right equipment and it worked perfectly. But what should I do with this stuff? Make a nest and put it on top of my head? Bring milk and 2 grams Agar Agar to a boil. Add the chocolate and stir till it melts. 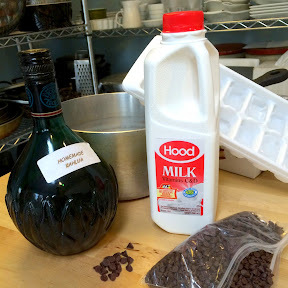 Remove from stove and mix in the liqueur (Shout out to my friend Teri, and her homemade Kahlua!). Place ice cubes into large bowl of water. 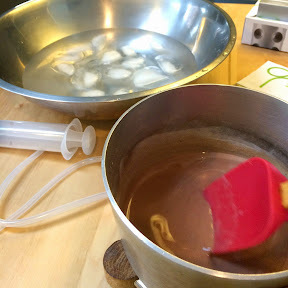 Using the syringe (provided) siphon off some chocolate mixture and then attach a piece of silicon tube (provided) and inject it into the tube then submerge it into the ice water for 4 minutes. 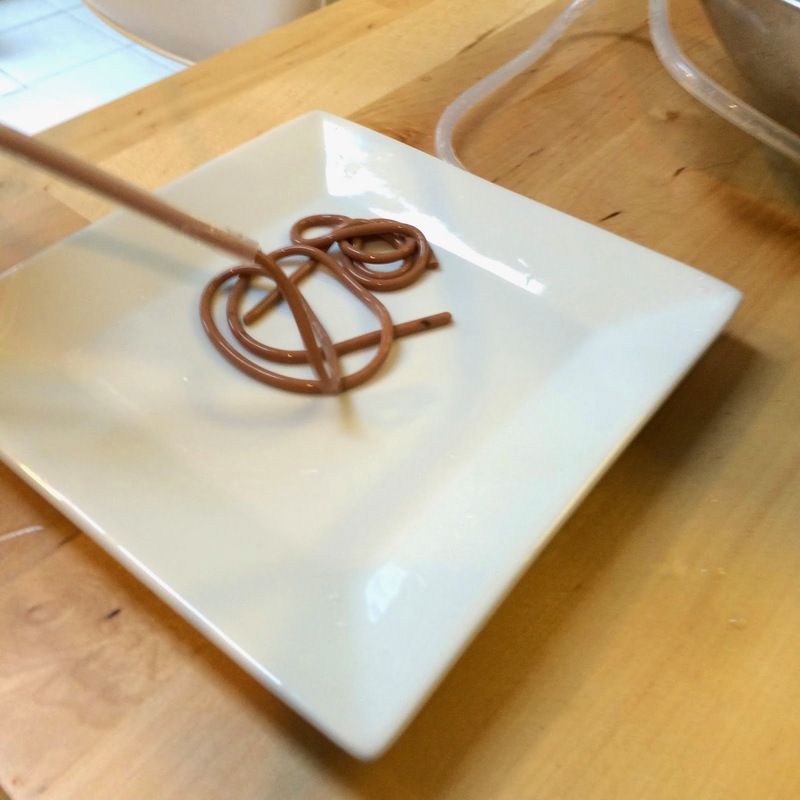 Next, use the empty syringe to force air into the tube, squeezing the chocolate spaghetti out onto a plate, or into your mouth, maybe? Ultimately, I thought this kit was lots of fun, and there are more things I want to try because I love weird science, but for now I am going back to real food. Thanks again to Uncommon Goods! Stacy, I think when you make the spaghetti one, it needs to be any color EXCEPT brown.